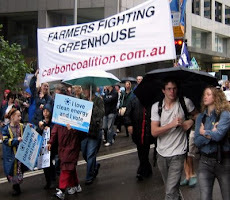 Carbon Coalition Against Global Warming: Small change from CCX-style system? What can a farmer or grazier expect to make from a voluntary soil carbon trading scheme like that run by the Chicago Climate Exchange (CCX)? Not much, if the American experience is a guide. Last month, more than 2,300 American farmers received their cheques in the mail for capturing and storing carbon in their soil through the National Farmers Union Carbon Credit Program. They received, on average, $2,500 each for their efforts in 2006 and 2007 to sequester carbon by using no-till cropping practices and by converting cropland to long term grass stands. This represents $1,250 per year income from soil carbon credits, typical revenue for farmers enrolled in a Chicago Climate Exchange program. Producers are credited with 0.2-.6 tonnes of carbon for each acre of no-till cropping and 0.4 - 1.0 tonne per acre for qualifying grass stands each year of the 5-year contract. On native rangeland, producers can earn .12 to .52 tonnes per acre with an implemented grazing plan to improve the range vegetative growth. These values are “based on the best peer-reviewed soil science available”, or what scientists will agree upon. 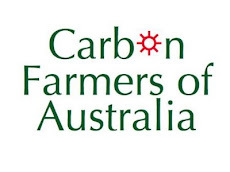 These values are likely to be even lower for Australia because the scientific community has no research which reveals the full potential of soils when managed by ‘carbon farmers’. The price per tonne on the CCX has varied between $1 and $7 for farm soil credits. These prices reflect the risk the buyer faces when it comes to how reliable are the amounts of carbon sequestered. The amounts estimated per acre are also low for the same reason. The risk is based on the way soil carbon is ‘measured’ or ‘estimated’. The Chicago Climate Exchange adopted an “Indicator” method of estimating the amounts of carbon captured by a farmer in a particular location who adopts a particular form of land management. If the practices of no-till cropping, grass seeding, range management or forestry are carried out during the contract, storage of carbon at the agreed upon amounts is assumed to have occurred. No soil testing protocols are needed to fulfill the contract (as in a “Direct Measurement” system), just certification and verification that the practices are implemented. The program covers only certain states and each area has its own price per acre. 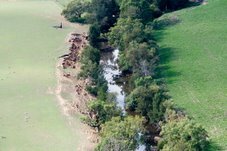 At the amounts paid to each farmer, the speed of take-up by landholders will be slow. This runs counter to the Carbon Coalition’s goal of 85% of agricultural soils manage by “Carbon Farming” methods by 2013… a stretch target that will require the incentive of full value carbon credits at market prices. 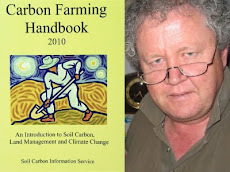 A farmer who lifted carbon in soil by 1% (at bulk density 1.3 and 30cms depth) could sequester 150+tonnes of CO2e/Ha – worth more than $3500/Ha when CO2e is priced at $25/t. It has recently been around $40/t. 1. It starts the inevitable process that we set out to achieve: to see soil carbon traded an farmers paid for what they grow. 2. It give us a chance to test drive a soil carbon market. 3. It delivers extra revenue, if only small amounts, to farmers. 4. It is the stepping stone to the Compliance Market. And that’s where we want to be. Where the big money is because e want the majority of farmers to make the change that builds soil carbon as soon as possible. 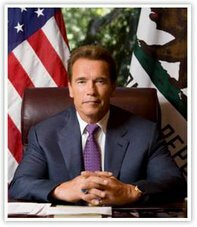 Any attempt to seek to stall us at the lowball end of the incentive scheme runs counter to our objectives: sifting agriculture as an industry onto a climate change war footing within Stern’s decade.